When a Latino advocacy group offered a $5,000 "bounty" last week for someone to interrupt Donald Trump on "Saturday Night Live," Larry David answered the call. But now, David won't answer the group's calls. DeportRacism.com says that it's reached out to the office for David's agent, both by phone and via email. "I don't know what we can do beyond that," Luke Montgomery, the campaign manager for the group, told CNNMoney. "We're waiting to hear back. We're kind of in stand-by mode." CNNMoney's efforts to reach David were also unsuccessful. The group, angry over Trump's disparaging comments about Mexican immigrants, offered $5,000 to anyone who would interrupt the show by shouting, "Trump is a racist." David obliged during Trump's "SNL" monologue. "Who the hell is -- I knew this was going to happen," Trump said, before the camera revealed David standing off stage. "Trump's a racist," David repeated. "I heard if I yelled that, they'd give me $5,000." Montgomery said the group won't "take any action until we hear back from Larry," but contingency plans are being considered. 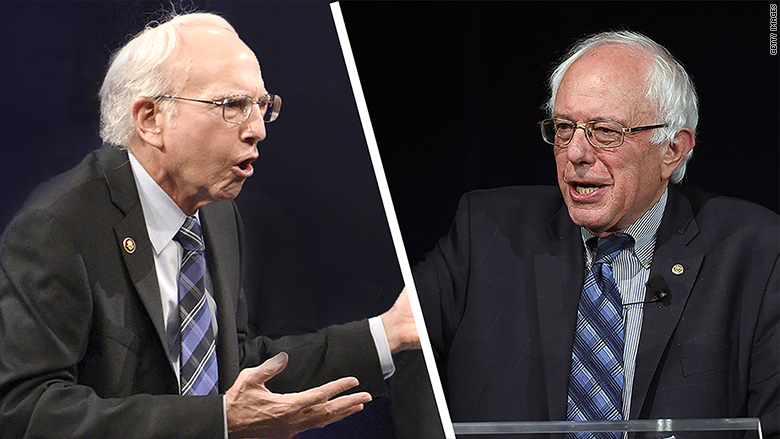 One option is to give the money to Senator Bernie Sanders, the Democratic presidential hopeful who has been portrayed by David this season on "SNL." Sanders, Montgomery said, has taken "really great positions on immigration and racial equality." The group may also put the "bounty" up for grabs again. "We might hold onto it and offer Larry David's reward money to somebody who interrupts the next GOP debate in December and calls Trump a racist," Montgomery said. That debate will be held December 15 in Las Vegas, and it will air on CNN. The obviously scripted interaction between David and Trump didn't really disrupt "SNL," but Montgomery didn't mind how it played out. "We were delighted with it. 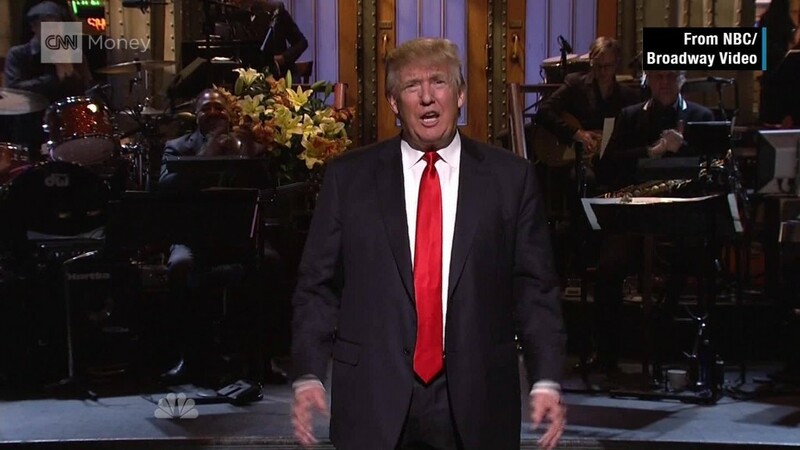 The fact that 'Saturday Night Live' was so afraid that somebody in their audience would take up DeportRacism.com forced themselves to have to call Donald Trump a racist in the script," Montgomery told CNNMoney. "It was the elephant in the room and they had to address it, and that's a major victory." "It actually brought more attention to our message than if a regular protester had done it, as opposed to Larry David," he said. Montgomery said DeportRacism.com officially launched 72 hours before last weekend's episode of "SNL." The group, which says it's dedicated to "fighting anti-Latino and anti-immigrant racism in the 2016 election," generated headlines immediately with a video featuring Latino children cursing at Trump. Trump called the video "terrible," but Montgomery said the group has more videos in store. "We are squarely focused on Donald Trump. He's the Republican frontrunner and he's the one who's been leading the charge against Latinos," Montgomery said.